A driving and ambient indie pop song, Daise’s dreamy new single “Sights of Blue” evokes deep aching and intimate urgency. I can only see what it is I’m shown, by the way you’ve grown to hide that love like you gave to me. It doesn’t how much we drown ourselves in sound or cover our eyes and ears: Heartache is a palpable and residual hurt, resonating inside us. However hard we try to fight it, eventually the haze has to fall and we must succumb to our pain. A driving and ambient indie pop song, Daise’s dreamy new single “Sights of Blue” evokes deep aching and intimate urgency. Atwood Magazine is proud to be premiering “Sights of Blue,” the latest single from Southern California indie rock band Daise (out everywhere 8/28/2018). The four-piece of Eli DeLeon, Edwin Robles, Justin Barner (JB), and Luke Johnson introduced themselves with debut single “Blackroom” in 2015, following up with their propulsive EP Bewilder a year later. Returning two years later with an invigorating batch of new music, Daise sound like trailblazers in the pop/rock realm. Like Californian peers Bad Suns, the band mix dance-friendly beats into ambient pop guitar licks and rock riffs. “Sights of Blue” is a vision fully realized, blending beauty and tension together in a harmonic pot of vulnerability and heartbreak. Sonically, “Sights of Blue” is not inherently sad, but its outlook grows increasingly dark as the song progresses. DeLeon narrates a poetic reflection on love and his own personal connection. Slowly but surely, he comes to see the veil over his eyes. Running concurrent to this painful, yet all-too-real narrative is Daise’s musical theatrics: The band craft, a bouncing, excited vibe through their driving beat and bouncing guitar work. living swimming in the air? Poetic, creative, and emotionally aware, Daise are ready for their moment, and it’s coming their way: The band will be opening for The Boxer Rebellion on September 27th at the Teragram Ballroom, and are sure to have more dates lined up as we get into the fall. 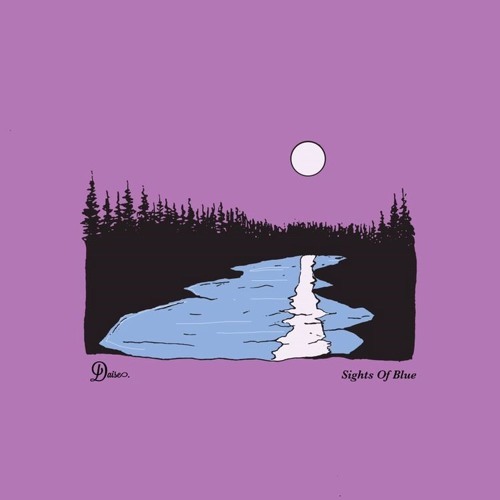 Sporting a tight, vibing sound that is at one mesmerizing and evocative, “Sights of Blue” carries forth Daise’s musical essence while also tapping into something much deeper – a basic truth about pain and love that we can all relate to on a human level. Stream “Sights of Blue” exclusively on Atwood Magazine!